The Eddy Pub has decided to take our lunch pizza on the road, and deliver our commitment to locally sourced great tasting food in a mobile setting. We call this little pizza trailer Rotelle, which means “wheels” in Italian. 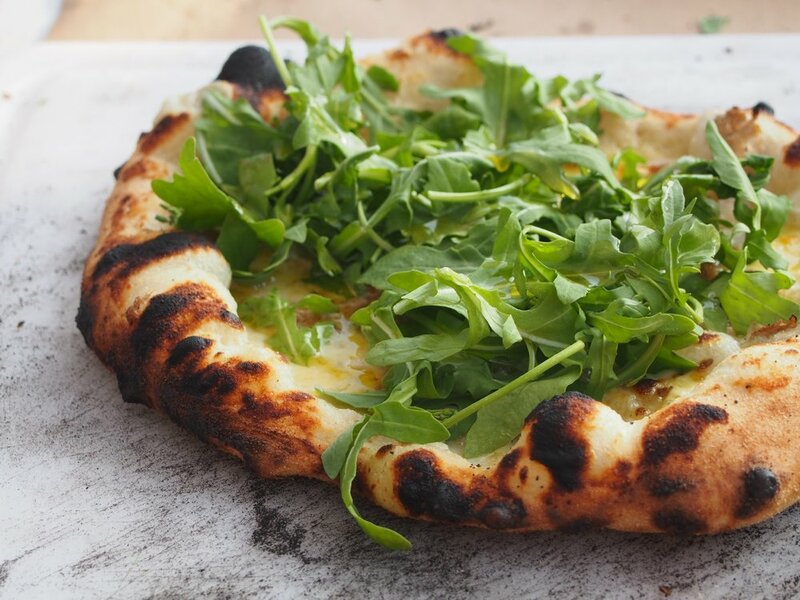 Our pies are styled after Neapolitan (the original) pizzas, and we burn hardwoods, such as oak and hickory, to bring our oven to 900 degrees and impart a classic wood fired flavor. You can find us at festivals, farmer’s markets, and Saturdays in Saxapahaw, but we can also bring the heat (and the trailer) to you! and any gathering or celebration you can think of. Buffets can include salads, cheese and bread displays, desserts, or just pizza. Follow us on Instagram @rotelle_pizza to see where we’ll pop up next!